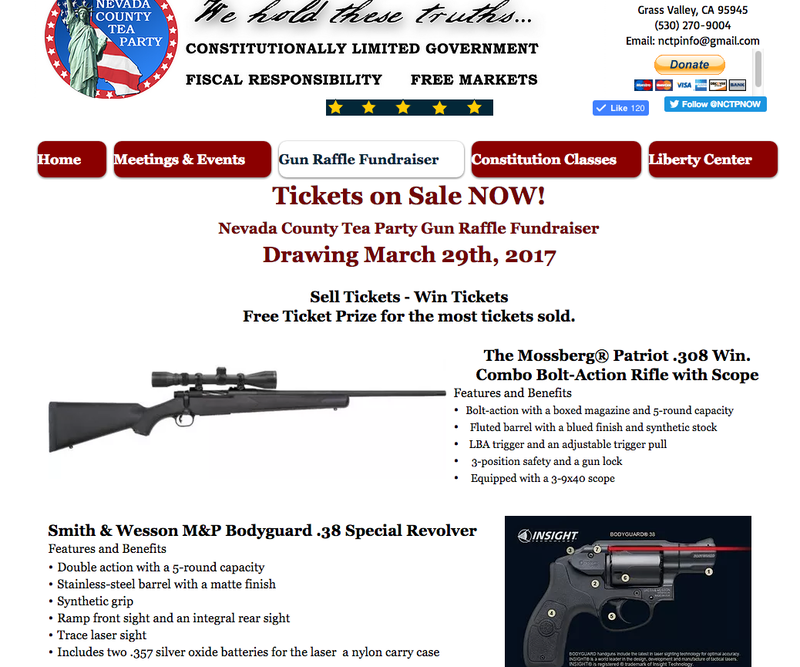 Now’s your chance to win a bolt-action rifle with 5-round capacity and a scope, or a “double action” revolver with 5-round capacity, thanks to the Nevada County Tea Party Gun Raffle Fundraiser. Tickets are $5 each, 3 for $10, 10 for $50 or $50 for 100. It would be nice if they read the Constitution, all of it. Especially the 2nd amendment, all of it. At least it’s a regular hunting rifle and not an assault rifle. What do you hunt with a rifle called “The Patriot,” Muslims, Mexicans?